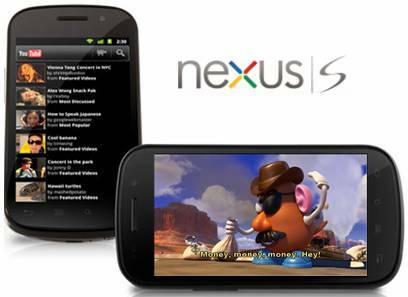 Google has begun shipping the Nexus S, the second Google Android phone to hit the market since Google Nexus S. The Nexus S comes with large touch screen, which brings impressive visual quality when playing videos and action games. Quoted video compatibility for the Nexus S is almost the same with Samsung Galaxy S series, supported video formats for Nexus S are “MPEG4, H.263, H.264, DivX, XviD, WMV, AVI, 3GP, up to 800*480pix". That’s plenty of codec. And further more, you can rip DVD to movie to Nexus S, or down convert HD MKV, MP4, AVI, VOB, MOV, M4V, MTS, etc to be just all right for playback on Nexus S. The following guide provides a solution putting MKV, MP4, AVI video and DVD movie to Nexus S for your reference. Step 1. Load videos/DVD to the ultimate Video DVD to Nexus S Converter. 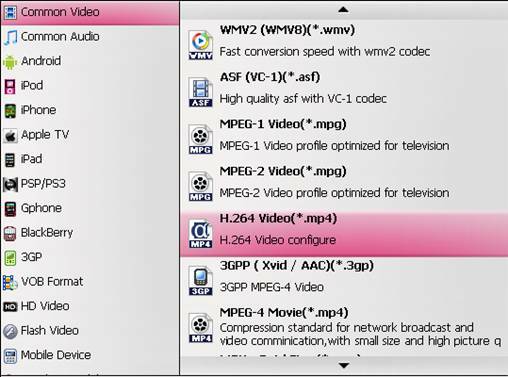 Run Pavtube Video DVD Converter suite, click “Add Video” button to load your various video files, such as MKV, AVI, VOB, MPG, MOV, MTS, M2TS, TiVo, and more. If you’d like to rip DVD to Nexus S, just place DVD in optical drive and click “Load DVD” to load the DVD. Select the items you’d like to convert and set subtitles and audio track for each chapter. The Video DVD to Nexus S Converter supports batch conversion, so you can add multiple files into it at a time to do format conversion. Step 2. Select Nexus S supported codec and video format. Click on “Format” bar and to select a video format that is supported by Nexus S. Personally I suggest you follow “Common Video”>> “H.264 Video (*.mp4). 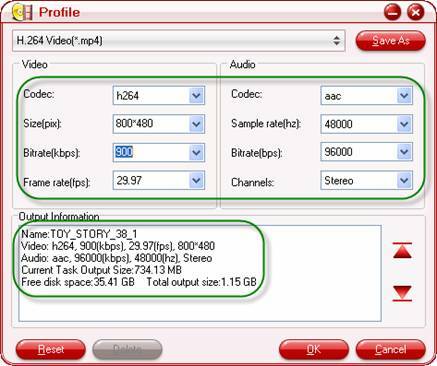 H.264 video contents are highly-compressed thus take up less storage. Step 3. Adjust resolution, bitrate, etc for Nexus S.
Step 4. Convert videos to Nexus S/ Rip DVD to Nexus S.
Click “Convert” to start converting MKV/ ripping DVD to Nexus S friendly format. The Video DVD to Nexus S Converter will finish conversion at speed without any audio and video out of sync issues. Once conversion is done, you can click “Open” button to get the final output files for your Nexus S for entertainment. Tip 1. When converting DVD to Nexus S, you’re advised to set “Keep Original Aspect Ratio” in order to get correct proportion. Here’s the way to go: select DVD movie chapter, click “Edit”, and check the box of “Keep Original Aspect Ratio” under “Crop” tab. Tip 2. DVD movies and HD footage can be interlaced, which contains lines on the picture. In that case please click “Edit” menu, switch to “Effect” tab, and check “Deinterlacing” box before conversion starts. Tip 3. To rip Blu-ray movies, please refer to streaming Blu-ray to Nexus S using Pavtube Blu-ray Ripper software.